Warner Bros. has released a new extended “Justice League” trailer online to coincide with their big panel in Hall H today at Comic-Con. The trailer features the new villian Steppenwold played by Ciaran Hinds and comes in at over four-minutes long! Naturally the trailer features Batman (Ben Affleck), Wonder Woman (Gal Gadot), Flash (Ezra Miller), Cyborg (Ray Fisher) and Aquaman (Jason Momoa) teaming up trying to defeat the new villain Steppenwolf. Not surprising, this is possibly a world still without Superman (Henry Cavil) but we do see a glimmer of his resurrection which may tease a possible Return of Superman story line. Check out the new “Justice League” trailer below and look for it to drop this November 17th. 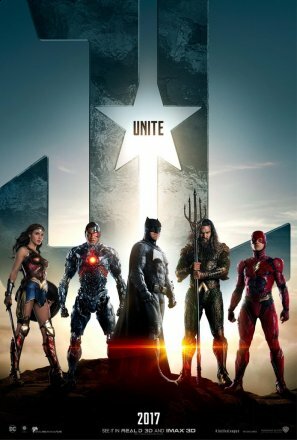 Justice League stars: Aquaman (Jason Momoa) Batman (Ben Affleck), Wonder Woman (Gal Gadot), Flash (Ezra Miller), Cyborg (Ray Fisher), and Superman (Henry Cavill), along with a supporting cast that includes: Jeremy Irons, Amy Adams, J.K. Simmons, Connie Nielsen, Jesse Eisenberg, Willem Dafoe, and Ciaran Hinds. Justice League opens November 17th.